This is the public profile of Che-Yung Chuang, Additional information and high-resolution images are available for accredited press members, to access additional information about Che-Yung Chuang please login as a press member. About Che-Yung Chuang : Yung Interior Design Group's unique creativity has ensured the success projects, both for prominent hotels and high end residential projects. With an eye for innovation and a standard of excellence, we dictate the success of our projects and elevate the expectations of our clients. 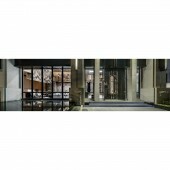 Our experience have transformed space design into one of Taiwan’s Premier Interior Design Companies. Press Members: Request an exclusive interview with Che-Yung Chuang.